MOSCOW — Spectators will be allowed to fly rainbow flags at the World Cup, Russia's top anti-discrimination official for soccer indicated on Thursday. Alexei Smertin, the Russian Football Union official and a World Cup ambassador, said spectators won't be affected by a Russian law prohibiting "propaganda" of homosexuality to minors. "There will definitely be no ban on wearing rainbow symbols in Russia. It's clear you can come here and not be fined for expressing feelings," Smertin said at a news conference in Moscow to discuss race and discrimination issues in football. The former Russia and Chelsea midfielder added it's unlikely gay fans could fall foul of Russian law, saying, "The law is about propaganda to minors ... I can't imagine that anyone is going to go into a school and speak." His remarks were welcomed by the FARE network, which advises FIFA on discrimination issues. "He's giving some reassurances and I think in the end that's all that people want," FARE executive director Piara Powar told The Associated Press. "People want to know that they can come here safely, that they will be protected, that they are wanted." Homosexuality was decriminalized in Russia in 1993, but anti-gay sentiment remains strong. Russia passed a federal law banning so-called propaganda of homosexuality to minors in 2013, which has been widely criticized for banning gay pride events or discussions of gay rights in public spaces where children might possibly be present. Ahead of Russia hosting the Winter Olympics in 2014, President Vladimir Putin said gay people would be welcome in Sochi but must "leave the children in peace." 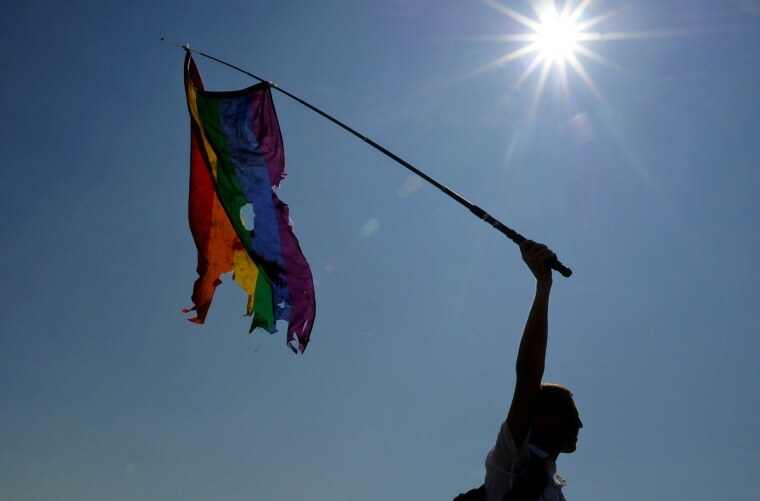 In the first major court battle for gay activists who have contested the law, the European Court of Human Rights in June found in favor of three Russian gay activists who claimed the law violated the rights to freedom of expression and prohibition of discrimination. The plaintiffs had been repeatedly rejected in attempts to get official permission to host gay rights protests and other events.